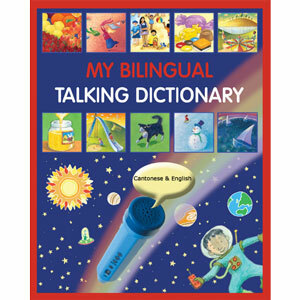 My Bilingual Talking Dictionary - Chinese Cantonese & English is a unique resource which introduces over 650 widely used words, arranged thematically and with colourful illustrations. It can be used alone as a traditional picture dictionary but it also has a very special added extra - if you own a PENpal Talking Pen, then you can download the audio for FREE and your picture dictionary then becomes a talking book. Touch each word to hear a native speaker repeat the word to you so that you can perfect your pronunciation & intonation. 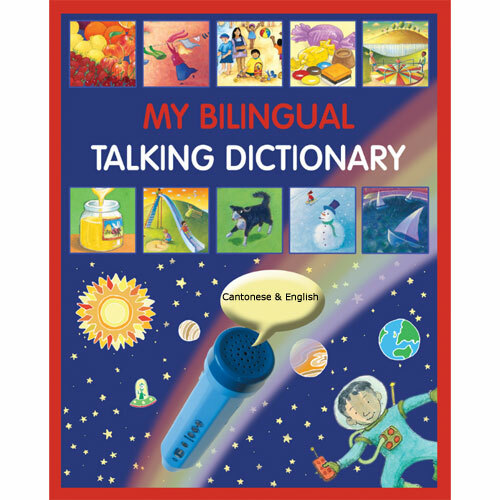 My Bilingual Talking Dictionary - Chinese Cantonese & English is a high-quality book that can either be used as a fun picture dictionary in its own right, or can be matched with a PENpal Talking Pen (available separately) to make a complete learning package. Aimed at Cantonese-speaking children learning English as a foreign language, it would also be suitable for English-speakers who are learning Cantonese as a foreign language. This title uses traditional Chinese characters and the pinyin is also shown to help pronunciation.